Among Seventh-day Adventists the Doctrine of the Trinity. . .
is often taken for granted. But increasingly it is opposed by a small minority who have retreated to the anti-Trinitarian position of the pioneers. In response the authors, each a specialist in his field, trace the doctrine of the Trinity through Scripture, church history, and the writings of Ellen G. White. The first section surveys the biblical foundations of the doctrine and addresses objections that have been raised. Other sections trace the development of the doctrine in Christian history, in Adventist history, and in the writings of Ellen White. The authors explain why the doctrine was resisted by many of the leading pioneers. The final section asks "So what?" It discusses the theological and practical implications of Trinitarian belief, worship, and practice, showing how it affects what we believe about salvation, atonement, the great controversy, and other significant doctrines. With glossaries, bibliography, and index, this comprehensive primer on the Trinity will shed new light on the central beliefs of Christianity, and show how God still leads His church into all truth. 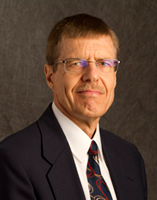 John W. Reeve, PhD, is assistant professor of church history at the Seventh-day Adventist Theological Seminary at Andrews University. He teaches early church, middle ages, and reformation history. John is also editor of Andrews University Seminary Studies. His doctoral dissertation focused on the theological anthropology of Theophilus of Antioch and the shift in the understanding of the human soul and judgment in late second century Christianity.